Computer scientists are scientists and mathematicians who develop ways to process, interpret, store, communicate and secure data. Computer Science includes the theory, design, development, and application of software and software systems. 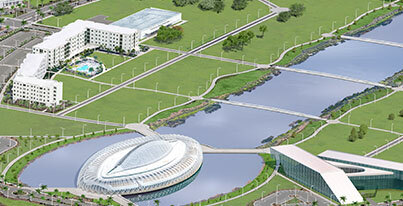 The program at Florida Poly offers students in-depth study and hands-on practice in a programming and development of software and systems applicable to almost any problem. Students develop a strong and versatile foundation of technical knowledge, design principles, teamwork and problem-solving essential to successful careers in industry or as entrepreneurs. This program is offered by the Department of Computer Science. 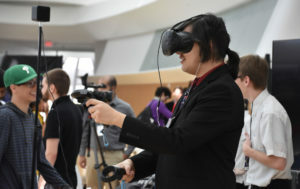 Game Development and Simulation is an interdisciplinary concentration that applies the rigor of computer science to the creative challenges of game development. With a core curriculum in computing, mathematics and science, this concentration combines advanced technical skills with training in the visual arts to prepare students to develop innovations in digital gaming. With the increasing footprint of businesses, the demand is increasing for individuals to help protect and monitor security measures against hackers and breaches. The cyber-security concentration focuses on information assurance and computer security and will provide you with hands-on experience designing systems and strategies for safeguarding information. Software engineers apply the principles of engineering to software development. This growing field includes application software engineers who create and maintain computer applications, and systems software engineers who analyze the client’s technical needs and develop and maintain optimal solutions. Because nearly all employment sectors rely on complex software solutions, software engineering is one of the fastest-growing occupations in the world. invested in cyber security in 2017.
cyber security jobs open in 2016.
global cyber security jobs by 2019.
size of cyber security market by 2020.
in total video game revenue by 2020. The Computer Science program is a high-quality program focused on education and research. The program is a STEM-education-based program that yields highly skilled graduates who have strong knowledge in the fundamentals of Computer Science and who are able to apply that knowledge to design and implement solutions for arising problems. 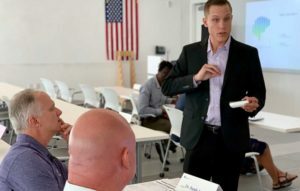 The program prepares students for clear and concise communication when working in a team environment and for careers in industry, government, and academia. Prepare students with a strong and competitive foundation in Computer Science. Provide quality learning experience and focused training on the current advances in Computer Science. Prepare students to work effectively as team members and leaders in professional environments. Prepare students for employment in industry, government or entrepreneurial endeavors. WHAT IS THE COMPUTER SCIENCE DEGREE PROGRAM? Students majoring in Computer Science learn the process of designing and developing computer systems – the hardware, software, networks and IT applications for carrying out tasks or solving business challenges. This broad field focuses on computers and telecommunications networks in managing, testing and improving the collection, storage, retrieval and transmission of information. WHAT DO COMPUTER SCIENCE PROFESSIONALS DO? Information technologists, commonly known as IT professionals, have diverse roles that may include implementing networks, upgrading a company’s software or hardware, installing internal applications and building websites. IT professionals are key to operations in most business environments because of the growing reliance on high technology and the internet in the global economy. WHAT MAKES FLORIDA POLYTECHNIC UNIVERSITY’S COMPUTER SCIENCE DEGREE PROGRAM UNIQUE? Florida Poly’s Computer Science degree offers students a rigorous academic environment that is career-focused. The program offers hands-on learning and small class sizes while providing access to current and emerging technologies. WHAT IS THE EMPLOYMENT OUTLOOK FOR IT PROFESSIONALS? According to Computer World, a resource for business technology, a survey of IT executives revealed the most in-demand positions at leading companies are programming / application development, project management, and help desk and technical support.